This entry was posted on October 20, 2009 at 7:27 am	and is filed under *Hutchinson*, Anonymous. Tagged: *Hutchinson*, A. M. Burrage, Alan Cunningham, Algernon Blackwood, Ambrose Bierce, Amelia B. Edwards, Ann Bridge, Anonymous, Anthony Gittins, Books, Bram Stoker, Cecil Binney, Charles Dickens, Dorothy M. Thomlinson, E. F. Benson, E. Nesbit, edgar allan poe, Edith Wharton, Ex-Private X, F. Marion Crawford, fiction, Frederich Von Schiller, Frederick Marryat, George Eliot, Ghost Stories, J. Sheridan Le fanu, Ludwig Tieck, M. R. James, Miss Braddon, Mrs. Gaskell, Mrs. Oliphant, Nathaniel Hawthorne, Oliver Onions, Percival Landon, R. H. Barham, R. S. Hawker, Richard Humphreys, Shane Leslie, Sir Edward Bulwer- Lytton, Sir Walter Scott, Vault Of Evil, Vernon Lee, Violet Hunt, W. L. George, Walter De La Mare, Wilkie Collins. You can follow any responses to this entry through the RSS 2.0 feed. You can skip to the end and leave a response. Pinging is currently not allowed. 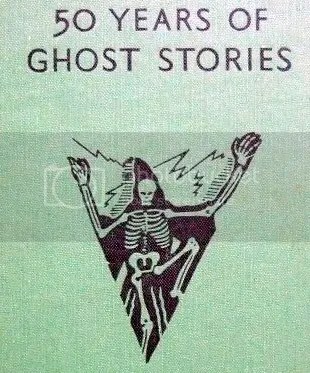 I would like to buy a copy of Hundred Years of Ghost Stories – can you tell me where I can get it. 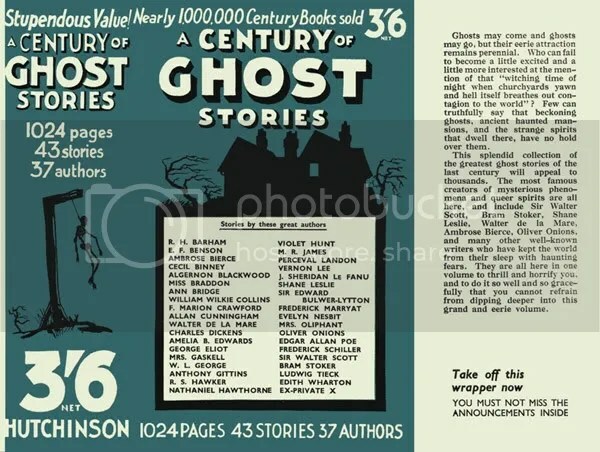 I know that It’s almost 4 years but r u still interested in A CENTURY OF GHOST STORIES? If so, I can send u pictures.